You found a calling as an advocate to turn to. Our Venerable Father Theodosios became a monastic at a young age, in obedience to the precept of the Lord, that we are to abandon all things, take up our cross, and follow Him. He therefore fled into the wilderness, where he dwelt in a cave on a mountain, sustaining himself off the fruits of trees and herbs of the ground. Night and day he called upon God both for his own salvation and for the salvation of the world. In his life he acquired all the virtues, and became worthy of the grace to work miracles, so that he healed many of their illnesses. When the time for his repose came, he departed to the Lord rejoicing, and was presented to Him as precious myrrh, and as acceptable and most-fragrant incense. The above information comes to us from the Synaxarion of Constantinople and the Menologion of Basil II, which is all we know about this Saint. We also know that he served as abbot of Oroboi Monastery, and was probably its founder. Oroboi Monastery (otherwise called Orobon, Orobos, Orovon, Orovoi) seems to have been located near Magnesia on the Maeander in Asia Minor, as it is mentioned in the eleventh century Life of Saint Lazarus of Mount Galesion, and Saint Lazarus is recorded as entering this monastery in his youth under a certain notary named George and stayed there for three years where he received his education. 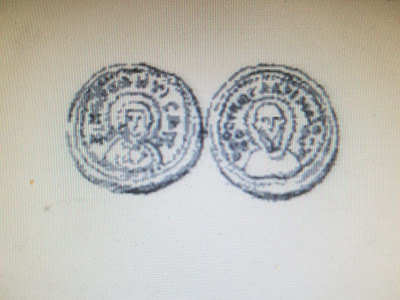 The only other information we have about Oroboi Monastery is from a seal found in Smyrna of a monk named Gabriel from c. 1075, who was a monk at Oroboi Monastery. 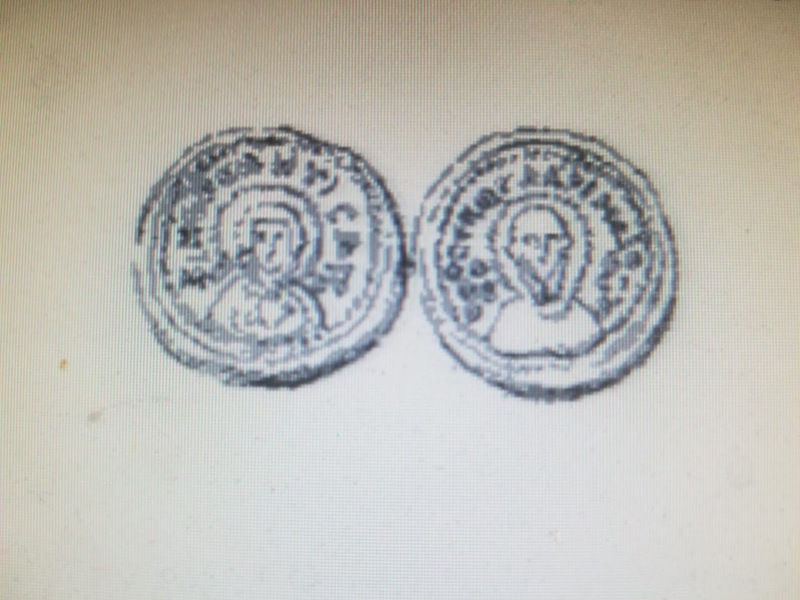 This seal depicts the bust of Saint Theodosios on one side, and on the other is depicted the Mother of God known as Orobitissa. Possibly that the unnamed monastery "subject to the bishopric of Magnesia" in the tenth century Life of Saint Paul the Younger is to be identified with Oroboi. It may be assumed that Saint Theodosios, while an ascetic, gathered many disciples around him, for which he founded Oroboi Monastery, and became its first abbot.